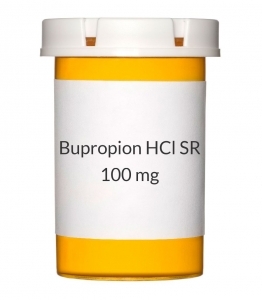 WARNING: Bupropion is an antidepressant used to treat a variety of conditions, including depression, other mental/mood disorders, and smoking cessation. Antidepressants can help prevent suicidal thoughts/attempts and provide other important benefits. However, studies have shown that a small number of people (especially people younger than 25) who take antidepressants for any condition may experience new or worsening depression, other mental/mood symptoms, or suicidal thoughts/attempts. Therefore, it is very important to talk with the doctor about the risks and benefits of antidepressant medication, even if treatment is not for a mental/mood condition. Tell the doctor immediately if you notice new or worsening depression/other psychiatric conditions, unusual behavior changes (including possible suicidal thoughts/attempts), or other mental/mood changes (including new/worsening anxiety, panic attacks, trouble sleeping, irritability, hostile/angry feelings, impulsive actions, severe restlessness, very rapid speech). Be especially watchful for these symptoms when a new antidepressant is started or when the dose is changed. If you are using bupropion to quit smoking, stop taking bupropion and contact your doctor immediately if you experience any of the symptoms listed above or if you have any of these symptoms after stopping treatment. USES: This medication is used to treat depression. It can improve your mood and feelings of well-being. It works by helping to restore the balance of natural chemicals (neurotransmitters) in your brain. OTHER USES: This section contains uses of this drug that are not listed in the approved professional labeling for the drug but that may be prescribed by your health care professional. Use this drug for a condition that is listed in this section only if it has been so prescribed by your health care professional. Bupropion may be used to treat attention-deficit hyperactivity disorder (ADHD), or to help people quit smoking by decreasing cravings and nicotine withdrawal effects. It may be used to prevent autumn-winter seasonal depression (seasonal affective disorder). It may also be used in combination with other mood stabilizers to treat bipolar disorder (depressive phase). HOW TO USE: Read the Medication Guide and, if available, the Patient Information Leaflet provided by your pharmacist before you start using bupropion and each time you get a refill. If you have any questions regarding the information, consult your doctor or pharmacist. Take this medication by mouth, usually twice daily with or without food. If nausea occurs, you may take this drug with food. It is important to take your doses at least 8 hours apart or as directed by your doctor to decrease your risk of having a seizure. Do not crush or chew this medication. Doing so can release all of the drug at once, increasing the risk of side effects, including seizures. Also, do not split the tablets unless they have a score line and your doctor or pharmacist tells you to do so. Swallow the whole or split tablet without crushing or chewing. You may have trouble sleeping when you start taking bupropion. Do not take your evening dose too close to bedtime. Let your doctor know if sleeplessness becomes a problem. Your dosage is based on your medical condition and response to therapy. Your dose should be slowly increased to limit side effects such as sleeplessness and decrease the risk of seizures. Do not take more or less medication than prescribed. Taking more than the recommended dose will increase your risk of having a seizure. The usual maximum dose is 300-400 milligrams per day (maximum single dose 150-200 milligrams). Do not stop taking this medication without notifying your doctor. Use this medication regularly in order to get the most benefit from it. Remember to use it at the same time each day. It may take 4 weeks or more before the full effects of this medication are noticed. Talk to your doctor if your condition persists or worsens. SIDE EFFECTS: See also the Warning section. Dry mouth, sore throat, nausea, vomiting, stomach/abdominal pain, flushing, headache, loss of appetite, constipation, trouble sleeping, increased sweating, strange taste in mouth, muscle/joint aches, dizziness, or blurred vision may occur. If any of these effects persist or worsen, notify your doctor or pharmacist promptly. Remember that your doctor has prescribed this medication because he or she has judged that the benefit to you is greater than the risk of side effects. Many people do not have serious side effects. Tell your doctor immediately if any of these unlikely but serious side effects occur: fainting, chest pain, fast heartbeat, severe headache, uncontrolled movements (tremor), unusual weight loss or gain, ringing in the ears, mental/mood changes (e.g., agitation, anxiety, hallucinations, nervousness, confusion, restlessness). Tell your doctor immediately if any of these rare but very serious side effects occur: muscle pain/tenderness/weakness, change in the amount of urine. This drug may rarely cause seizures. Seek immediate medical attention if you have a seizure while taking bupropion. If you have a seizure while taking bupropion, you should not take this drug again. A severe allergic reaction to this drug is unlikely, but seek immediate medical attention if it occurs. Symptoms of a severe allergic reaction include: rash, itching/swelling (especially of the face/tongue/throat), severe dizziness, trouble breathing. An empty tablet shell may appear in your stool. This is harmless. This is not a complete list of possible side effects. If you notice other effects not listed above, contact your doctor or pharmacist. In the US - Call your doctor for medical advice about side effects. You may report side effects to FDA at 1-800-FDA-1088. In Canada - Call your doctor for medical advice about side effects. You may report side effects to Health Canada at 1-866-234-2345. PRECAUTIONS: See also How to Use and Warning Sections Before taking bupropion, tell your doctor or pharmacist if you are allergic to it or if you have any other allergies. This product may contain inactive ingredients, which can cause allergic reactions or other problems. Talk to your pharmacist for more details. This medication should not be used if you have certain medical conditions. Before using this medicine, consult your doctor or pharmacist if you have: seizures or conditions that increase your risk of seizures (including brain/head injury, brain tumors, arteriovenous malformation, eating disorders such as bulimia/anorexia nervosa). This medication should not be used if you are suddenly stopping regular use of sedatives (e.g., benzodiazepines such as lorazepam) or alcohol, which can cause a higher risk of seizures. Before using this medication, tell your doctor or pharmacist your medical history, especially of: personal or family history of psychiatric disorder (e.g., bipolar/manic-depressive disorder), personal or family history of suicide thoughts/attempts, liver problems, heart problems, high blood pressure, kidney problems, diabetes, alcohol/drug dependence, intention to quit smoking. This drug may make you dizzy or drowsy. Do not drive, use machinery, or do any activity that requires alertness until you are sure you can perform such activities safely. Limit or avoid consumption of alcoholic beverages. Alcohol can increase your risk of dizziness and seizures. Do not take this medicine with any other product containing bupropion (e.g., drugs to help quit smoking) since large doses of bupropion are more likely to cause seizures. Kidney function declines as you grow older. This medication is removed by the kidneys. Therefore, elderly people may be more sensitive to this drug and to side effects. This medication should be used only when clearly needed during pregnancy. Discuss the risks and benefits with your doctor. Infrequently, newborns whose mothers have used certain newer antidepressants during the last 3 months of pregnancy may develop symptoms including persistent feeding or breathing difficulties, jitteriness, seizures or constant crying. Promptly report any such symptoms to the doctor. However, do not stop taking this medication unless your doctor directs you to do so. This drug passes into breast milk and may have undesirable effects on a nursing infant. Consult your doctor before breast-feeding. DRUG INTERACTIONS: The effects of some drugs can change if you take other drugs or herbal products at the same time. This can increase your risk for serious side effects or may cause your medications not to work correctly. These drug interactions are possible, but do not always occur. Your doctor or pharmacist can often prevent or manage interactions by changing how you use your medications or by close monitoring. To help your doctor and pharmacist give you the best care, be sure to tell your doctor and pharmacist about all the products you use (including prescription drugs, nonprescription drugs, and herbal products) before starting treatment with this product. While using this product, do not start, stop, or change the dosage of any other medicines you are using without your doctor's approval. Some products that may interact with this drug include: amantadine, certain x-ray dyes (including iomeprol), levodopa, nicotine products (such as patches, gum, or spray), regular use of sedatives (such as alprazolam), stimulants, tamoxifen, warfarin. Avoid taking MAO inhibitors (isocarboxazid, linezolid, methylene blue, moclobemide, phenelzine, procarbazine, rasagiline, selegiline, tranylcypromine) during treatment with this medication and for two weeks before and after treatment. In some cases a serious (possibly fatal) drug interaction may occur. Other medications can affect the removal of bupropion from your body, which may affect how bupropion works. Examples include cyclophosphamide, orphenadrine, thiotepa, antiplatelet drugs (including clopidogrel, ticlodipine), anti-seizure drugs (such as carbamazepine, phenobarbital, phenytoin), HIV drugs (such as efavirenz, ritonavir), rifamycins (such as rifampin), among others. Bupropion can speed up the removal of other drugs from your body, which may affect how they work. Examples of affected drugs include citalopram, antiarrhythmics (such as propafenone, flecainide), antidepressants (such as desipramine, paroxetine, fluoxetine, sertraline), antipsychotics (such as haloperidol, thioridazine), beta-blockers (such as metoprolol), among others. Also report the use of drugs which might increase seizure risk (decrease seizure threshold) when combined with bupropion, such as antipsychotics (e.g., chlorpromazine), tricyclic antidepressants (e.g., amitriptyline), corticosteroids (e.g., prednisone) or theophylline, among others. Consult your doctor or pharmacist for details. Large amounts of caffeine and other stimulants, such as those found in weight loss and cold/sinus medications, can increase the chance of seizures with this drug. Check all nonprescription/prescription/herbal drug labels for caffeine and other stimulants (e.g., ephedra). Consult your doctor or pharmacist. This medication may interfere with certain laboratory tests, possibly causing false test results. Make sure laboratory personnel and all your doctors know you use this drug. This document does not contain all possible drug interactions. Keep a list of all the products you use. Share this list with your doctor and pharmacist to lessen your risk for serious medication problems. OVERDOSE: If overdose is suspected, contact your local poison control center or emergency room immediately. US residents can call the US national poison hotline at 1-800-222-1222. Canadian residents should call their local poison control center directly. Symptoms of overdose may include: seizures, severe confusion, hallucinations, rapid heart rate, loss of consciousness. NOTES: Psychiatric/medical checkups (and possibly laboratory and/or medical tests such as blood pressure monitoring) must be done periodically to monitor your progress and check for side effects. Consult your doctor for more details. Do not share this medication with others. MISSED DOSE: If you miss a dose, skip the missed dose and resume your usual dosing schedule. Do not double the dose to catch up. Taking too much of this medication can increase your chance of having a seizure. STORAGE: Store at room temperature between 68-77 degrees F (20-25 degrees C) away from light and moisture. Bupropion tablets may have a strange odor. This is normal and the medication is still okay to use. Do not store in the bathroom. Keep all medicines away from children and pets. Do not flush medications down the toilet or pour them into a drain unless instructed to do so. Properly discard this product when it is expired or no longer needed. Consult your pharmacist or local waste disposal company for more details about how to safely discard your product.